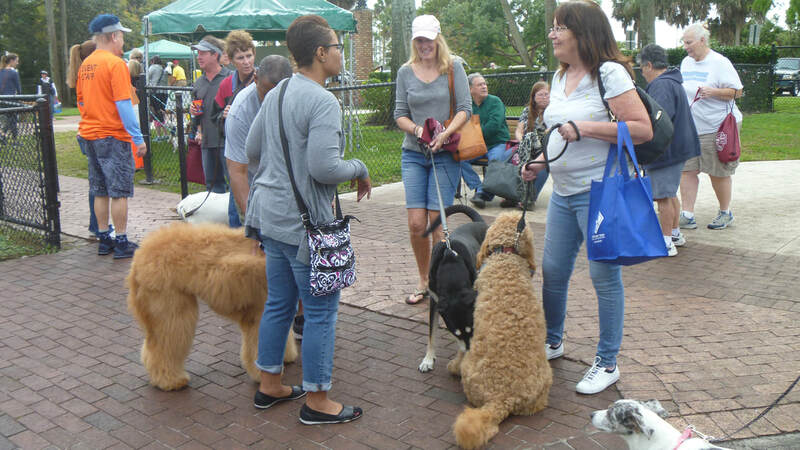 On January 27, 2018 the City of Plantation held the 15th annual Doggie-Palooza. The event is held annually at the Happy Tails Dog Park inside Seminole Park, 6500 SW 16 St, Plantation. The Club was one of the primary sponsors for the event. Nine Club members worked the booth on a very windy day. So windy that some of the other event tents got blown around. We did not have the tent problem, but did have trouble with items blowing around. Several Club members donated doggie bandanas and dog toys. 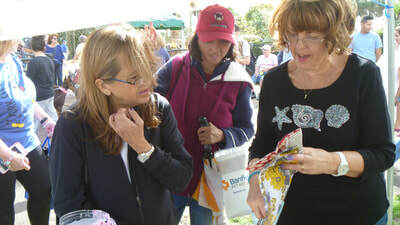 For a dollar donation attendees were able to pick out a bandana or a toy. 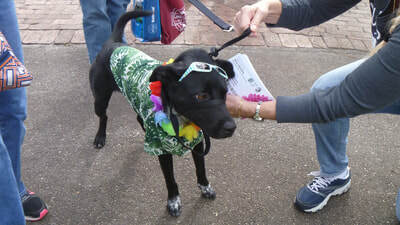 A little over $77.00 was raised for K-9 Companions for Independent Living. At the February Board meeting the officers elected to add an additional $123.00, for a total donation of $200. 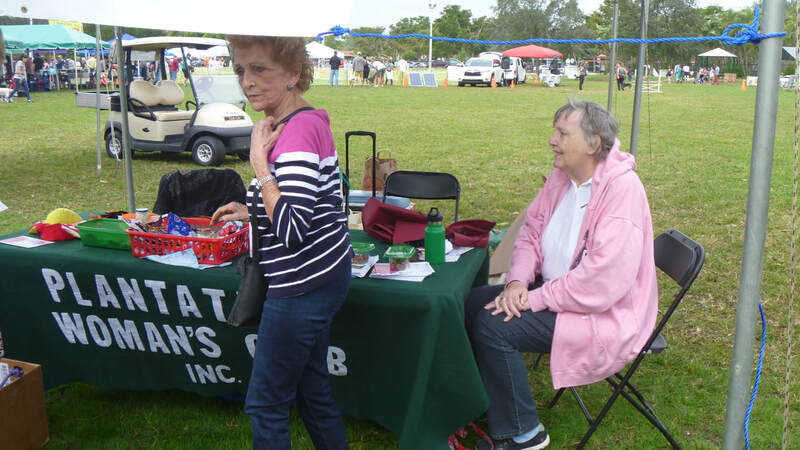 We also spoke with attendees about the Club and our many events. We even had members at the entrance gate passing out cards to invite people to the March Garden Fest. If you have never attended the event, it attracts about 15,000 to 20,000 people and features approximately 40 vendors. Attendees get to talk with vendors and see performances by the Plantation K-9 unit and a dog Frisbee show. 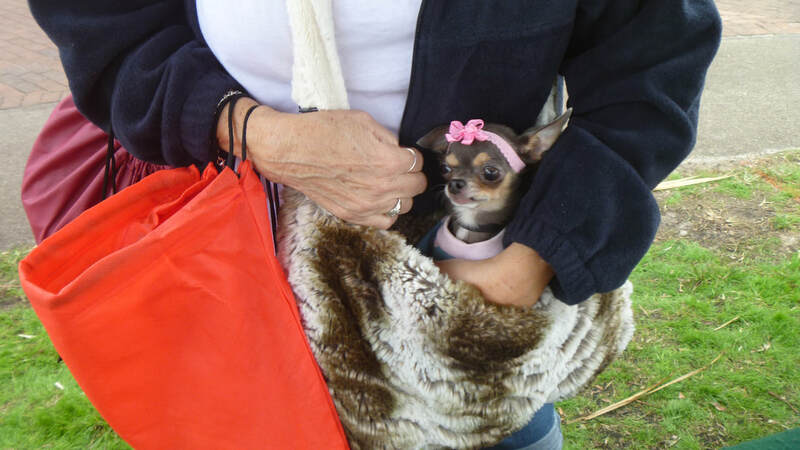 In addition they hold several contests such as best dressed dog and owner/dog look alike. This year our own Gail Triviz was one of judges for the events. So next year if you like fresh air and talking with people consider coming out and representing the Club.